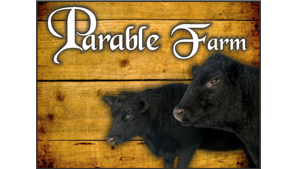 Estimated Times for Cooking Pastured Turkeys | Parable Farm, Inc.
*Use a meat thermometer and test the temp in a meaty area. Done is 160 – 165 degrees. Before cooking, rub butter, salt, and pepper onto the skin. When you remove your bird from the oven, transfer it to a warmed platter, tent with parchment paper (less “steamy” than aluminum foil), and let rest 30 minutes.